SuperNET API testers and bounties! I had a long chat with James/jl777, felt a need to ask some questions on behalf of Nxt + SN investors. The interview is being edited atm and will be posted on NXTER.ORG, then translated and spread all around. We all need to take into account the consequences of the SN-NXT break-up and talk to each other again. Both projects are important, IMO. I’ll post some of our talk here. Do act on it. It must be hard to prioritise what capabilities of SN you should work on. I think they will. SuperBTC is getting more and more attention, some asset issuers started using it for dividends too. people dont realize that testing takes a lot of time and effort and right now guess who is having to do all that testing? Just the word “API” scares most non-coders. Good. Let’s try to get people involved in filling out web forms then. since it is html theoretically it can, but it is nonstandard and I fear asking the NXT core devs as they will probably say that is improper usage of NXT plugins (…). i made the nxtae exchange support in iguana. This post was originally posted on nxtforum.org. InstantDex: Decentralized Trading platform is almost here! Link to video demo can be found here. Banned r/bitcoin discussion with lots of info here. This platform will provide many exciting tools and ways to trade such as automatic arb discovery across exchanges, a single unified orderbook across all exchanges, decentralized orderbooks for p2p trades, atomic coin swaps, decentralized pegs, nxt asset trading, multigateway voting pool and much more! If you like to make money this tool will certainly help you with that goal! As ever, life moves fast in crypto, and never more so than in the SuperVerse. The main news is that InstantDEX is approaching launch, another dividend is about to be distributed, we have a SuperNET v1 beta LiteWallet, but that’s not all, there’s plenty more still to tell you about – including a new addition to the CORE coins list: FIBRE. The ‘advanced’ view is currently disabled for Jay wallet. As part of the ongoing evolution of the Multigateway to become a key part of SuperNET, coin token names have been updated, as have asset IDs. And Longzai advises us that: ‘When we decide to drop the legacy mgw there will be 1:1 asset swap’. SuperFIBRE (multisig details in development) and the SN versions of BTC, DOGE and others will soon be added. See https://multigateway.org for more information. When you fund your SuperNET Wallet, the corresponding tokens will automatically show in the AE of your Nxt account where you can trade them manually for NXT or other assets, for example US$-pegged CoinUSD asset (ID 12982485703607823902) or the EUR-pegged equivalent (ID 18331302471589054607), which are also Coinomat gateways to fiat, via SEPA transfers to VISA / Mastercard. Asset < – > Asset trades will be enabled in SuperNET with InstantDEX integration. SuperNET has a new CORE coin: Fibre. ‘We wish the Blocknet all the best, decisions like this aren`t easy but we are changing direction for Fibre in 2015. Fibre community and investors will always stand in the first place. In our opinion we are choosing a better future for Fibre’. ‘The Fibre dev team has been represented in SuperNET Slack for more than a month but has always made it perfectly clear that Fibre was part of the Blocknet initiative. Recently, a real attempt to fulfill the requirements to integrate Fibrecoin in SuperNET as a CORE coin was started; opening Fibre’s source core tech to SuperNET analysts (the review was done by chanc3r), and after that, a swap of SuperNET assets with Fibre assets was required’, writes Eth. and enjoy the rest of this newsletter while listening to an Interview with Fibrecoin leader Killakem! Fibre is available on the SuperNET Multipool http://altnuts.com, and also Xpool.ca multipool. We welcome the FIBRE Team and look forward to finding out more about their forthcoming projects. The Jay dividend is ready for distribution. 7.5% to SuperNET, 7.5% to NXTventure and 5% to JLH (jl777hodl) will be distributed. This will occur when fewer than 8,161 SuperNET assets are left in BTER. At the time of writing, BTER’s cold wallet has just over 20,000 SuperNET assets in it. Jay (ID 8688289798928624137) will allow people without any software on their system to run the SuperNET GUI and access all coins. Jay will get an InstantDEX revshare when it makes a lite-InstantDEX. ‘I added a ‘GUI’ field so we can track which GUIs the orders are coming from’, writes James. A preview video of the InstantDEX client alpha is available here. You can see InstantDEX in realtime (thanks to MyNxt.info) here. ‘InstantDEX core API is feature complete other than automatching hybrid orderbooks’, James writes. ‘Got the asset<->asset trading working and looks good. So now what is left is the most advanced case (hybrid orders), which isn’t even necessary at first and making it automatch and chart signals. Then I will switch over to network security enhancements while the testers are pounding on it. InstantDEX is getting inputs from the central exchanges, NXT AE and its own orderbook, so from a single display you can see prices from all the places at once. InstantDEX is progressing nicely – and, more to the point, is working effectively. ‘Trade completes faster than I can switch tabs! The only difference performance-wise from a central exchange is if you don’t have any inventory of something, then you can’t retrade it until you have enough confirms. I will let each node decide what “enough confirms” means. But if you are trading with plenty of inventory and have enough aged assets, then you won’t even notice this. DM James in Slack for access – but only if you have the time to really test it. James writes, ‘My idea is to fund a monthly lotto with this 5% [the unallocated InstantDEX revenues], winner take all (shared between all that tie). Getting your own card is simple, just register on coinomat.com, click the ‘First Swiss Card’ menu link and follow instructions. Cryptocard is a semi-anonymous way to cash out cryptocurrency to an ATM card. Photo id but no bank details are required, meaning that a resale market can provide a convenient and private way to move funds from crypto to fiat. Cryptocard was originally funded by the BTCD community, and Coinomat will integrate BTCD within 2 weeks, and then start integrating the other SuperNET coins. James has organised a 10 million VPN bounty for a new dev to join the team. There is a 10 million VPN bounty for a working solution. This week’s BitcoinDark Bulletin: ‘Privacy and Anonymity’. Nxt is clearly one of the few platforms that’s going to survive long term, making it not only a safe place in which to trade and park your funds but also a hugely prosperous one as well, once (as anticipated) it’s earning 10% per year. If you are interested in using Nxt, visit the official website: http://nxt.org. Get the latest Nxt news from http://test.nxter.org or join the movement @ https://nxtforum.org. Nxt is going to present the key speech for crypto at this year’s PayExpo 2015. Damelon writes: ‘I want to invite ALL Nxt related businesses to provide us with their promo materials and relevant information! We are not there just as the platform, you also can get your products and services out there! This Payexpo will have a separate part especially dedicated to cryptocurrencies! ‘We are co-organising this, so if you feel you want to help out with this and have workshop experience or knowledge: let us know! Also, help us raise the last 500,000 Nxt to go here. We already have gathered a significant amount thanks to all of you. Let’s get this last part together. Donation address: NXT-ZGDQ-W9Q3-YFK6-4L8F4. Read more on the Nxt Forum here or join SuperNET Slack channel #payexpo to learn more. As the name UNITY suggests, SuperNET is not a coin but a cooperation between selected coins. If you’ve been following the SuperNET Newsletters, you will know that all SuperNET CORE coins have been chosen with great care. No copycats, no simple clones, no scamcoins pumped by a huge marketing budget: only truly innovative, useful coins with active developers. All SuperNET CORE coins and services are more than welcome to claim a paragraph in the SuperNET Newsletters > DM apenzl to join SuperSlack #unity-news and make sure to get featured. Any 1.0 crypto coin can enhance their wallet with SuperNET. Write to: info@supernet.org. These are very exciting times, with the realtime Multigateway going into beta – meaning that anyone can now download it and start using it. Beyond that, we’ve got plenty of analysis on how the launch of these services could affect the broader crypto ecosystem, and some other news and information you’ll want to hear about. The hotly-anticipated public beta version of the first official SuperNET client is available for testing. The MGW has been totally re-engineered. The new realtime MGW uses ramchains: James’ distilled blockchain tech that is many times faster to initialise than a regular blockchain. The v1 client appears as a multiwallet for the SuperNET CORE coins. You can fund it and send coins from it. The first coin deposit you make to your wallet (whether it’s in BTCD, NXT, OPAL, VRC, BITS or VPNcoin) will automatically fund it with 10 NXT, which can be used for paying transaction fees. It is hoped that BTC will be enabled on the realtime MGW within two weeks – BTC’s blockchain is so large (approaching 30GB) that it is taking longer to process than the other coins. Eth says: “As every new feature, the innovative superNET GUI (basic mode) is going through a number of changes, and what happens in back end is most probably going to affect front end, so this upcoming week there will be a quick re-structuring on the interface inner file set in order to ease up the implementation of new features (that we cannot talk about yet!) in the future. Further functionality will be added on a rolling basis, ensuring a stable client with an ever-increasing feature set. Some main features are already visible in the GUI, including the funding of your wallet directly from USD or EUR, sending coins by email, and the links to projects and services in the top bar which will definitely be worth watching over the coming months. And right now ramchains for DRK, BTC and DOGE is being created to add to the SuperNET v1. Charging a small fee will enable SuperNET to pay people to maintain the servers, so they can be restarted – in the superfast time enabled by ramchains – as soon as a problem is detected. Additionally: ‘I am still fiddling with selfhealing ramchains. Did a proof of concept where a brand new ramchain was loaded to a new node in about a minute for BTCD. Not quite done with that, but the bulk of it is done in ~100 lines of new code with a few surgical changes scattered.’ This will make for a more robust system that is less prone to going down – and faster to restart if it does. As ever, a big thank you goes to James for all his hard work and some tech that really belongs in a sci-fi film. BTER lost 7,170 BTC in the hack two weeks ago, which looks like a co-ordinated hit on several altcoin exchanges. As yet there is no indication that these funds will be recovered, and the future for the exchange is unclear. UNITY is just the trading symbol for the SuperNET asset and as we advised in December after the pump’n’dump ring accusations against BTER, it is best to have it in a NXT address that you control (including the new beta client). All dividends will automatically be sent to whatever address the SuperNET asset is in. BTER have now enabled withdrawals of UNITY and some other Nxt assets. We advise you to withdraw them to an address you control! This will also make it easier to receive upcoming dividends. In one of the most exciting developments for both SuperNET and wider crypto, InstantDEX – the distributed real-time crypto exchange – is almost ready for launch. To prepare the ground for active trading, James is making a market in BTC/NXT on Nxt Asset Exchange. Due to the recent incidents, the lack of liquidity is impacting the entire NXT community. Additionally with InstantDEX arriving soon it will benefit from a more liquid market in NXT. So I will manually start making a market in BTC/NXT on the AE but this will be updated with automated market maker. 2 million NXT and 100 BTC will be adequate to start. Even though there will be 2MM NXT and 100 BTC, it will be set up as ladders, so it is highly unlikely more than half will get traded and most likely a lot less. James has put up orders for mgwBTC, starting at the bargain price of 4444 sats (with a price ladder in 10 BTC lots), and BTC sell orders <1% above the bid. The new mgwBTC asset ID is #17554243582654188572. Many people have heard of arbitrage and arbitrage bots. This idea will be leveraged to create new markets for InstantDEX. ‘For example, let us say there are BTCD/NXT and NXT/BTC markets. Well these really do exist so it is easy to think about this exact thing! So the price of BTCD/NXT is going up and down and so does NXT/BTC price, now there is a third combination BTCD/BTC market and it also is going up and down! ‘But these three are all related, eg. BTCD/NXT + NXT/BTC == BTCD/BTC. For example BTCD/NXT 100 NXT and NXT/BTC 0.00005 -> 1 BTCD -> 100 NXT * 0.00005 = 0.005 BTC. So if the prices are 100 NXT for BTCD and 0.00005 BTC for NXT, then this is equivalent to 0.005 BTC for BTCD. What if any of the three is going above (or below) these prices? ARBITRAGE!! ‘So I am making the BTCD/BTC orderbook automatically have the (BTCD/NXT + NXT/BTC) orderbook and with one action you will be able to get the best price. With arbitrage, especially cross exchange, there are times where you can buy something at the exact time as you sell the opposite and can lock in a gain. This will require a pair of trades, one going through 2 orderbooks, the balancing trade through 1. ‘For hybrid orderbooks (eg. BTC/NXT + NXT/XYZ -> BTC/XYZ) it would incur an extra 3.5 NXT, 1 from NXT and another 2.5 NXT. Still this is 8 NXT and the hybrid orderbook was used presumably since it had the better price than any direct orderbook. ‘Also keep in mind I aim to have automated market makers with ~1% spread for the major issues. If you factor the savings from the narrower spread, even smaller orders could find it to make sense and the larger orders are finding no reason to trade anywhere else. What any volume of activity on InstantDEX points towards is greater rewards for NXT forgers. ‘Assuming we fill up the blocks, this is ~250K NXT in fees per day (gladly paid by traders). Now at this pace, NXT forging is paying ~10% per year! I think with that sort of return, the value of NXT will become quite a bit larger. ‘For those trying to estimate the amount of fees InstantDEX will earn I would imagine it would be a multiple of the 4 NXT worth of fees per trade. While most trades will be < 1000 NXT, there will be some larger trades for 1 to 10 BTC, so i would expect the average fees per trades to be closer to 10 NXT. A single 10 BTC trade is really boosting the average. Of course there is no guarantee of reaching this sort of trading volumes and sustaining it, but if it did, that would be fees that are more than 200MM NXT per year. So even achieving 10% of this level is making for a very good result. ‘What other investment would give interest rate like that and have all the potential NXT has? So no promise that we get to 100MM market cap, but if crypto is based on cashflow a rough metric would be an extra million dollars NXT market cap for each tx per block InstantDEX does. ‘I am on schedule for getting the InstantDEX API fully functional, still need to add error checking and a few other things, but the GUI release is the bottleneck. I was told that next week we will get a GUI release based on: https://yunbi.com/markets/nxtbtc that will be interfaced to InstantDEX API, so if they come through then next week. Since I don’t personally control the GUI and I can’t do GUI work myself, I cannot make any specific estimates, but the team that is on it has been highly recommended so I am optimistic. SkyNET will feed the bots that will generate revenue from trading. So, how is this intriguing project progressing? nexern writes: ‘Complete fundamental data (fillings) history fetched, stored and up-to-date now. Raw data is 4.5 TB uncompressed, resulting in ~15.7m docs in total (not precise, just estimated from random chosen archives, so numbers may change). This data resource delivers not only raw numbers but also something like “behavioural analytics”, means it could answer questions like: how inner/outer shares flows to whom and where else, how does this affect price, what are the whales doing, what about current short sales, who is involved and connected to whom, well, hidden relations. It would be interesting to dig in this data to identify some “fat-fingers” and if so, to monitor their activity. ‘Luckily I was also able to get my hands on a huge forex tick! archive (15 years, major pairs). This data is perfectly suited for extensive intraday backtesting for traders specialized in currencies. As Nxt will add plug-ins support from the upcoming NRS 1.5 release (currently on testnet), a SuperNET plugin is also on the way. The Nxt Reference Software 1.5 will also feature a decentralized Voting System and 2-Phased Transactions, which allows for the creation of services like trustless escrows, multisig wallets, and shareholders’ voting about whether to release funds. SuperNET and all of its CORE coins will automatically gain access to this functionality. Other plugins have already been developed. For example, Tosch is developing an easy way to access and use Nxt’s Decentralized Crowdfunding feature as well as Nxt’s digital Marketplace. What’s new in the VeriCoin 1.5 .1 Wallet? Coinimal has introduced a Tell-A-Friend system: You receive a €2.50 bonus* for every referred, verified customer after the initial order. Additionally you will receive a lifetime 5% bonus* on the collected service fee, for every order your referred customers fulfil. *Bonus can only be withdrawn as Cryptocoin order. Minimum order is 25€. Can be combined with normal order. Valid: 180 days from issuing date. Coinimal is looking for a freelancer to code the Coinimal plug-in for Nxt’s upcoming plug-in system. PM twinwinnerd. SNRN is taking advertisement orders. SuperNET-related coins and services are not supposed to start paying for exposure on SuperNET Radio, because ‘we do this as a service to the SN community to keep them informed’, as Lootz writes. ‘Plugging’ or ‘promoting’ a coin, service, asset, or product is self-evident when it’s the subject of a discussion’, continues Kevondo, ‘but active advertising via “on air” spots, sponsorships, Blocks Ads or producing a show and running it on air multiple times are all currently within SNRN’s capabilities, so contact myself or Lootz for prices’. SuperNET News Network has launched. fumanchu writes: ‘Aloha, Hello, Salutations, and all that Jazz. It is my very special privilege to let everyone know we just had the soft launch of the first portal in the SuperNET News Network ( SNNews.io / Supernetnews.org ). ‘Content will be dripping in slowly during those first few awkward weeks but in time we hope to have a steady flow of community-driven content focusing on developments in the Business, Blockchain, and FinTech Space. So where are we going? How do you see Nxt / SuperNET playing out in the future? Post a meme, an essay, a piece of code, a cartoon, a song or a video, a master thesis or indeed anything else that helps you answer the question. The winner will receive one of pondsea’s stunning limited-edition .999 silver SuperNET coins. Deadline: Friday 6th March 2015, Midnight GMT. Post your entry to the contest here: http://test.nxter.org/win-a-supernet-silver-coin/ or message your entry to NXT-EAVH-SLEV-KSEE-EE2KP. Nxt Community will pick the winner. https://forum.thesupernet.org/index.php?board=46.0 have a log of the public channels. As the end of the year approaches and the launch of v1 gets closer, developments are gathering pace – and so is interest in SuperNET. Once again, we have lots to report. BTer has finally sent the last two dividends, SkyNET and Pangea, and they have re-enabled UNITY withdrawals. We recommend that anyone keeping UNITY on BTer withdraws to a NXT wallet – ideally the v.0 SuperNET wallet available from Multigateway.org. This not only gives you full control over your assets, but enables more reliable distribution of dividends. You may also be aware of rumours of a pump and dump ring that has been operating on BTer, with some unpleasant accusations about threats made against other parties. Whilst it is not clear who is involved, it is always safer to keep your funds off-exchange. Now let’s talk SuperNET. Oh, did I mention that as part of this deal, SuperNET will be handling a 50 million VPN rewards fund? This will be for the supernet slackers who are helping the bitnet and probably a dividend to SuperNET/NXTventure holders. Did I mention that 600M VPN (that is 60% of current supply) will be burned this weekend? And SuperNET also receives for its acct 47M VPN. The bitnet team is small and we need to help them fully integrate into SuperNET. To complete the deal the bitnet team will be getting 1000 SuperNET assets, so the SuperNET it is receiving a big discount and the expectation is that we will help them. ‘The tech and data is available and tested. Dev resources are already allocated and I don’t expect any real problems developing this beast. Sure, the workload is huge, because nearly all components are custom-built at low level but that’s all been taken into account. It is quite clear to us, we are building something big and unique here. 75,000 SkyNET were dividended out to NXTventure assetholders. Of these last 75,000, InstantDEX received about 30,000 (since it owns about 40% of NXTventure). These were passed through to InstantDEX assetholders, since InstantDEX has no specific need of them. SkyNET/FinHive’s tech will be used for tradebots (NXTcoinsco). The tradebots asset manages tradebot ‘leasing’. The idea is that individuals create tradebots and allow others to invest in them on a profit-sharing basis – if the tradebots are successful, investors will receive a slice of their income. This operates like PAMM (Percentage Allocation Management Module), where investors allocate money to specific traders and share in their successes. Tradebot creators can choose to pay for SkyNET data, and SkyNET itself is expected to be behind many, many different bots. Investors will look at the historical performance of a bot, meaning that the best strategies rise to the top; unlike normal forex markets, the tradebots will only make a charge to investors if they produce profits. The incentives are therefore in place for designers to create successful bots, not simply convince investors to back them. Bots and designers with a strong track record will naturally attract greater investment. Work on InstantDEX, the system that will enable near-realtime crypto trading, continues. Generally in cryptocurrency trading, prices are quoted relative to BTC; Bitcoin is still the ‘reference currency’ since so many people use it. It is like the USD of crypto. The idea is to make InstantDEX look and feel like a regular exchange so that traders see something familiar, but under the surface, something very different will be happening. Instead of using BTC as a reference currency for InstantDEX, James is using BTCD. There are various reasons for this, ‘some technical, some financial’. Key to trading of any kind, and to InstantDEX’s aims, is liquidity. In other words, all trades will go through BTCD: a DOGE -> LTC trade will really be DOGE -> BTCD -> LTC. One reason for this is that it requires liquidity for far fewer trading pairs; instead of ensuring that DOGE <-> LTC has liquidity directly, so long as DOGE <-> BTCD and BTCD <-> LTC have liquidity, the trade can be carried out with a BTCD stage in between (invisibly). The same problem with creating all trading pairs with sufficient liquidity also exists for assets, only it is worse as there are typically larger spreads for assets. ‘It is just not practical to support direct orderbooks for a full matrix of all asset pairs. What is needed is a reference for assets that is like the “DOW Jones” index, something that represents the overall asset market and not anything else.’ jl777hodl (JLH) will be used as the reference asset, in the same way that BTCD is the reference currency for InstantDEX. Spreads are currently anything from 5-20% for some assets, and trading can entail significant losses through this alone. High liquidity with BTCD and JLH will mean any coin and asset pairs can be traded efficiently. It also enables an ‘autoconvert’ feature that enables users to view their portfolio denominated in whatever currency they want to view it (BTC, BTCD, USD, UNITY, JLH…) without the actual conversion incurring major losses. In order to give JLH adequate liquidity, libertynow has taken on the role of a market maker. He is regularly calculating the NAV and placing buy and sell walls to reduce the spread to < 5%. New assets are periodically added to JLH, and since these have not been announced and/or do not have a market price, the fund is generally undervalued. Ensuring liquidity is key to the smooth operation of InstantDEX and, therefore, SuperNET. ‘I am currently working on market maker support for InstantDEX,’ writes James. ‘There will be a limited number of spots available to be a MM, prioritized by the amount of fees paid, so naturally the best market makers rise to the top of the list. At first, maybe just a small donation payment will be enough to get to the top of the list. Then 32 (or 64?) of the market makers will make a matrix, I call the MMatrix. The InstantDEX users would contact the first market maker in their sorted list for their offers, so the higher on the list the market maker is, the more orders it has the pick of. 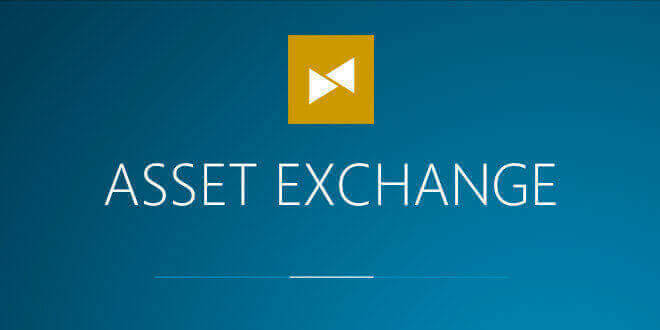 OPAL coin has issed an asset on the Nxt Asset Exchange. OPALTOKEN will receive 25% of revenues from the OPAL market. The standard fee is 1% of sales. This is still in beta and trades are denominated in OPAL, so the dividends will likely be in terms of mgwOPAL. You can keep up with developments here. This is in addition to the recent OPALTKN giveaway that took place via Slack and the forums. These tokens came from the faucet allocation. What: James would like the OPAL team to develop a ‘telepathy web’ on top of his basic html site pushing mechanism. Telepathy is BTCD and the SuperNET’s private communication system. Opalcoin will develop an easy-to-use publishing GUI, as well as help develop integration with privacy servers. This will be considered an OPAL contribution to supernet, and OPAL will be credited. Why: To address the flaws in TOR and create a more decentralised web mechanism. James has already developed the basics; as the technology progresses, more functionality will be released. How: Interfacing with SuperNET, the OPAL team will add and build in qt features with C++, while James develops the backend in C.
People have been asking for some clarification about the role that BTCD will play in SuperNET and the revenues that will be paid to it. This also provides a safety net for BTCD. Unlike other coins, which can theoretically plunge in value, ‘it will always have a nice floor due to the 5% of SuperNET revenues, which is actually 10% of what SuperNET assetholders get, since SuperNET holders get 50%, NXT core devs 5%, BTCD stakers 5%, SuperNET core coin communities 20%, overhead and expenses 10%, TBD 10%’. Teleport and Telepathy papers (core BTCD technology) can be found at http://209.126.70.170/DarkPaper.pdf and http://209.126.70.170/Telepathy.pdf. ### I am looking for Beta-Testers of Coinimal! SOFORT: Belgium, Germany, Italy, France, Austria, Netherlands, Slovakia, Spain. All Europeans with a Euro Sepa Bank Account. Reward: 100 NXT per Tester! PM me for Beta Key! ‘Localbitcoins is maybe now the fastest but in 9 days Coinimal will be. And we offer more coins than BTC…’ You can sign up here, to receive a Lanch Announcement: https://www.coinimal.com Find out more here. SuperNET’s infrastructure is a network of servers running around the world – many on users’ home computers and cheap VPSs, but also a series of high-quality nodes that will provide the backbone of the service. James: ‘It is boring compared to SkyNET, but still quite important. As we get closer to initial release with core functions, we need to have the infrastructure, especially MMatrix. ‘So SuperNET contracted for 10 mega servers to start and will probably get a lot more. For people concerned about the “Instant” of InstantDEX and core capacity of DHT this solves that, as the best software running on snotkitten class hardware will just not provide the performance people will expect. There are big bug hunting rewards (https://forum.thesupernet.org/index.php?topic=301.0) available for anyone who can identify significant bugs in the SuperNET API. Rewards of UNITY will be paid out to anyone who can find problems, with a sliding scale of amounts. The API is largely untested, so there should be lots of bugs to find! Rewards will be paid out at the end of each week to bug-finders and will continue for 5 weeks (until early January 2015). Last week’s payout: Cassius: 33.33 UNITY, Longzai 33.33 UNITY, Cryptosleuth 33.33 UNITY. At this point, it is question of finding as many people as possible to issue API calls manually and seeing whether it acts as expected. However, l8orre has a more advanced setup – a scripting and testing controller in built in Python3. ‘Right now it has a facility to plug in controller classes. What does work is using this as a relay which sort of is the same as using curl. The scripting class exists, but I need to extend it a little bit. Schedulers are also provided… i.e. timers that check back regularly for pre-registered actions every 4 seconds, do ‘settings’, then loop over the whitelist and ping every IP in the whitelist, then do GUIpoll and see if there is a pong, but it may need some honing to streamline it a bit… In its simple form, it does the same as curl…’ If you’re interested in helping, contact l8orre. PM noashh for an invitation to SuperNET Slack! Welcome to the SuperNET. A SuperNET alpha client release v0, the SuperNET v1 team defining the next and official release, NXT Freemarket update, MGW production servers running, a decentralised poker project coming together, and 100+ supporters and programmers active in Slack – it’s time for another update! This is SuperNET Newsletter #7. A preliminary SuperNET client (v0) has been released. This is an enhanced NXT wallet that includes the Multigateway, so can replace the standard NXT wallet with no loss of functionality. v0 is a standalone software: just install once and enjoy the combined features of Nxt and SuperNET. Current features include the NXT client, Multigateway, Coinomat exchange, Dividend capability and Voting. v0 is the first raw version of the SuperNET client. Further features like BTCD teleport, neoDICE, CHA’s casino and so on, will all go inside this package, so it’s essentially a NXT client release with SuperNET-related functionality. Further features will likely be added in a rolling release until the ‘official’ SuperNET v1 client is launched, around Christmas. The Multigateway’s production servers passed testing and are now live! The MGW UI is integrated in the preliminary (‘v0’) version of the SuperNET client. Please do download it and take a look at what it can do – it’s a sample of SuperNET’s coming capabilities. The Multigateway (MGW) is NXT’s distributed cryptocurrency exchange platform. It enables users to send coins to the MGW’s secure servers, in return for coin tokens that can be traded against NXT on the Asset Exchange. The coins are kept in multi-sig addresses, whilst the NXT assets representing other coins (mgwBTC, mgwLTC, etc) are stored on the blockchain. Three servers operate for each coins, enabling trustless crypto-to-crypto transactions. There are currently six different operators in Multigateway, as different coins are housed on dedicated and hardened servers run by different parties. As further coins are added, more server clusters will be required. James will keep a seventh development server online for as long as Multigateway users move to SuperNET UI and production servers. MGW creates a unique deposit address for your account, for each of the supported coins. When you send coins to that deposit address, MGW will deliver the same quantity of coin assets to your NXT account (for example, 1 BTC will become 1 mgwBTC asset). All the MGW deposits are held in multisignature accounts matching all the released assets 1:1 – there is no fractional reserve here! Coin assets can now be traded in the NXT Asset Exchange like any other asset .You can buy them with NXT, sell them for NXT and send them to any other NXT user with the fast speed of the NXT network. MGW allows you to withdraw your coin assets back into your corresponding coin wallet, with the lowest withdrawal fee in the market – equivalent to the minimum transaction fee for the coin. MGW is significantly more secure than a centralised exchange, with no single point of failure. It is also far more cost-effective to use. In a multisignature account, the same address has several associated private keys or signatures. This means the servers have to agree, each of them providing their signature, in order to process the coin transactions – in a similar way to a joint bank account. The use of multisignature accounts and independent servers makes MGW more secure than any traditional centralised exchange account. The production servers use a new asset ID for mgwBTC. Existing owners of mgwBTC need to swap their old assets by sending them to a special redeem account. This will automatically send back the same amount of the new mgwBTC asset. The old mgwBTC asset (4551058913252105307) can of course still be traded in the existing market in the Asset Exchange, and users running a previous version of the software will be able to withdraw these through the old servers for some time. However, we recommend you update your assets for a greater stability and growing activity in the service. Another SuperNET CORE service which has been integrated in the preliminary SuperNET v0 client is the Coinomat tab. It enables you to exchange your Bitcoins directly in the client. With the SuperNET v0 client running, you can also trade assets on the Nxt asset exchange. Coinomat offers CoinoUSD (asset ID 12982485703607823902, a USD-tied asset. 1 CoinoUSD always holds the value of $1. It’s traded against NXT on the asset exchange, thus creating the first NXT/USD decentralized market, it can be traded for BTC/NXT/XMR on the centralized exchange Poloniex, and you can buy and sell it using Coinomat services. CoinoUSD can be withdrawn to Perfect Money, EgoPay, OKPay – or VISA / Mastercard. Image Preview: See if you have the right URLs for your images before listing your item! Work has just started, but here’s a taster of what’s cooking: ThomasVeil’s interactive “tech tree”. This will provide an overview of how SuperNET, its services, coins and dividends to its asset holders works. InstantDEX is a core service for SuperNET. It will allow near-realtime exchange of one cryptocurrency to another. This will have huge implications for trading, since delays will be reduced to near zero. A further tool to help manage the InstantDEX order book in the future will be tradebots. These will be user-programmable and will run on the user’s node, customisable for the individual’s needs. One use case might be the conversion of dividends from one currency into another; a tradebot could be set to carry out the exchange at a target price. All of the functionality will take place in the background, making it extremely convenient for the end user. I had to figure out how to index into DB with duplicates properly, and also add in special cases to the DHT to support InstantDEX orderbooks. A. an orderbook bid or ask is submitted using the standard DHT store and this is processed normally. B. as this is processed, various nodes do a localstore into the public.db on their HDD. When this is done, the raw data is checked to see if it is an InstantDEX quote and if it is, an automatic update is triggered. This update allows one bid and one ask per account, which has the effect of preventing the orderbook stuffing. At this point, the node that is closest to the key value of (baseid ^ relid) will have an up to date orderbook and the normal orderbook function should display it properly. Of course, this does no good for most all people, so we also need to support returning the full orderbook via DHT findvalue call. The problem is that there is no automatic way to know if a key value is for an InstantDEX orderbook. So, using a similar method to overloading the findnode command with a datastr, I added a datastr to find value. This would just be the “orderbook” API command, which needed to have an “oldest” field added. what that allows is for the nodes that have data to send back to filter it so only the new data is sent. When this is all debugged, all nodes will be able to get an up to date orderbook as quickly as a DHT command can be processed. Now, even if this is taking 10+ seconds, odds are that the same accounts are having the best offers and really that is the most important as the exact trade matching is done peer to peer. InstantDEX is an absolutely critical part of making crypto frictionless for the end user, so it is extremely encouraging to see the progress being made here. The SuperNET News Network is coming together, with the backend currently in active development. When it is finished, it will allow for multi-tiered management – one senior writer will be able to manage multiple junior writers. This means that one Editor in Chief can manage a whole staff in a streamlined, automated way. Payment is always tied to the site’s earnings in the relevant pay period, so there are strong incentives for everyone to promote the site and work together. Contributors will not have to pay to post content; they will simply post their articles, promote them as best they can and interact with comments, where appropriate. The system will do all the weighing, with payout once a week. Regular writers will therefore receive regular pay in NXT and/or BTC. Last week we took a closer look at NXT, one of the core coins for the SuperNET. NXT offers versatile 2.0 functionality, and many of the SuperNET’s features are built on top of NXT. But the SuperNET equally could not exist without BTCD. BTCD provides the secure network that will enable private communication, anonymous transactions and much else besides. BTCD’s infrastructure is a peer-to-peer network similar in principle to file-sharing networks such as BitTorrent (in fact, secure file-sharing will be one of the future revenue-generating applications of the BTCD network, since it enables users to rent out spare hard drive space for others to use). BTCD’s Telepathy protocol (you can read more about how Telepathy works here) offers privacy advantages over and above anything else currently on the market. All communications are end-to-end encrypted, so that no one else can read them. However, the real step-change in privacy is the use of deaddrop addresses for secure communication. In other peer-to-peer networks, nodes send packets to each other, which requires them to know the IP address of the recipient. This constitutes a leak of information, and a well-resourced attacker would be able to tell who was communicating with whom – which could be as important as what they were communicating. Deaddrop addresses are owned by no node, and so the packet is never ‘delivered’ to this recipient. As it is being routed, though, it is handled by many different nodes – but it can only be read by the node for which it has been encrypted. This is a little like being able to send an email without anyone (including the sender) knowing the address of the recipient. A new BTCD wallet based on the NXT-Inside concept is currently in the works. As well as being user-friendly, this approach will allow stakers to be paid dividends from SuperNET (James offered stakers dividend payments from InstantDEX before developing SuperNET). To preserve privacy and ensure payments cannot be linked to other accounts, dividends will be converted to BTCD before distribution – placing a gentle, constant upward pressure on prices. There is a bot that is ACTIVELY manipulating the price, quite effectively too. If you look at the price on bitcoinwisdom, you will see that there is a pretty even spread of asks all bunched together, within 10 satoshis! About 5 BTC. This makes a barrier and also crowds out the orderbook so you can’t see what is really going on. It is also changing things several times per second to create the impression of a lot of activity. What it does is pushes the price down by clearing out small bids and making lower and lower asks. So, there is no investor panic going on. It is just one guy running a bot. And he is doing this on many different coins. Have the bot on bittrex and cryptsy, but run just one of them at a time. Create some FUD, push the price down on one (easier to create fear, especially in a bear market), then as people get convinced everybody is selling, they start selling. Remember this is just happening on one market. So soon the sell price on one exchange is lower than the buy price on the other exchange where the bot is idle. Guaranteed profits! Then the bots switch. So first one exchange price is pushed down, arbitraged, then the other. Doing this it creates these mysterious price declines as we are making such good progress. All the way down to .005! But there was really very little for sale below .008 as this operation is being done on dozens of coins, so only so much budget per coin. Now this bot is not caring about price at all. Whatever the price is, it just picks the exchange with the lower price, pushes it down until it can arbitrage. The arbitraging evens the price out and then the pushing starts again. Now this bot stays away from even a 1 BTC wall from what I have seen and certainly anything larger it stays about 10% away from. However if there is no big wall, it happily starts pushing the price down, even filling some orders if they are small enough. These bots are probably on autopilot, so that means a clever person will be able to trick the bot. Cryptocurrency offers significant advantages over fiat money, but adoption has been slow in comparison to expectations. Part of the reason for this is that cryptocurrency is still too complicated for general use (something that the SuperNET GUI aims to address). However, many people are not really dissatisfied with the service provided by banks and payment processors; crypto is consequently seen as an ‘answer without a problem’. BTCD’s secure communication capabilities offer the chance to market it in a different way. Most marketing initiatives start in crypto and reach out to mainstream users, with a limited degree of success. The Telepathy network has direct and immediate application to the mainstream. Every week there are more stories of hacked databases, large-scale harvesting of personal data by big corporations, and ever-more intrusive government surveillance. The majority of internet users recognise that their data can no longer be considered their own: everyone has an online footprint, and with the right tools this is almost as transparent as the blockchain. The Stash concept aims to apply BTCD and SuperNET’s functionality to these problems. A series of related services might be offered to users, including private messaging and secure storage on the SuperNET network. If customers wanted to purchase further services (more storage, for example), they would have to do so using cryptocurrency. The transaction would be made as frictionless as possible using SuperNET’s integrated Coinomat plugin or other services. The Stash wallet would essentially be a highly-simplified BTCD/SuperNET wallet, offering minimal functionality. The concept is still in its early days but has the potential to draw in a large number of new users from outside of current crypto circles. At the very least, this would strengthen the network and provide many more peers. In the best case scenario, a proportion of these new users would learn about and use cryptocurrency, starting with BTCD and SuperNET. You can see a holding page at www.Stash.xyz. For more information or to offer help and expertise, please ask on the Slack channels. ‘I have most all of the API needed for v1 released coded and now entering the painful systems debugging stage. The nature of the work changes now to making bugfixes instead of writing new code and just getting everything to work at the same time, along with performance improvements. ‘Still need more testers, but I am acting as the first tester since I rely on the API calls to get the basic functions working. Not sure which will finish first, my debugging or the GUI and websites, but probably pretty close race. ‘The telepathy is not 100% reliable, but it is working most of the time when you are nice to it. Got things a lot more stable at the low level and that allowed a couple of BTC teleports, but this exposed some state machine bugs. Not surprising as it is quite tricky and first time the entire process is being tested all at the same time. ‘Need to think about how best to integrate the InstantDEX with Teleport. I keep alternating days, working on one, then the other, pushing them closer and closer. One of these days I will be able to get them both playing nice with each other. Meanwhile Zahlen has started to analyse the maths and will add material further to the white paper in due course. It’s a shorter newsletter this week. After the series of deals that took place last week, most of the activity has gone into creating the infrastructure for SuperNET, with James adding new functionality to Teleport and the SuperNET API every day. So whilst there’s not so much to announce this time, there’s plenty going on under the surface and we are seeing rapid and exciting developments to the ‘highway’ technology that will link and power the network of assets and coins. There has been some confusion among investors about SuperNET’s asset holdings, their connection to each other, and how this all affects SuperNET and its revenue streams. This is understandable, since many of the assets are interlinked and own differing proportions of each other. 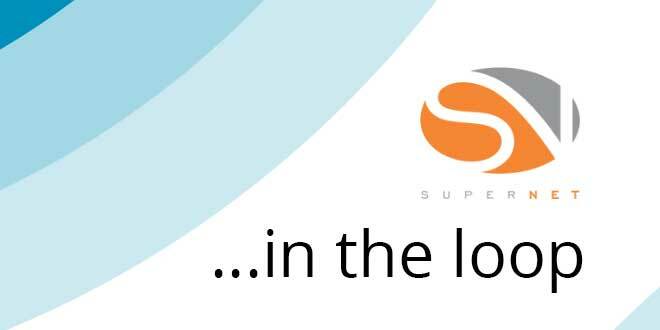 To make things clearer, the SuperTEAM is working on a visual map of the SuperNET, its assets, dividends, revenue and so on. Meanwhile, James’ assets are listed and updated HERE. Anyway, there have been many complaints that all my assets makes some confusion, so in a way SuperNET is a solution for this as it is putting in the key jl777 assets all in one place. If you want to invest in me (and all the other cryptos I approve of), just get SuperNET. InstantDEX has obtained 8 percent more of NXTventure, as James did a marketrate swap between his own holdings of NXTventure and InstantDEX’s own holdings of the InstantDEX asset, making InstantDEX the largest NXTventure assetholder. There was a suggestion that I merge NXTventure into SuperNET, but this is not very feasible. So I did what I could by exchanging NXTventure assets I had for InstantDEX assets. Since SuperNET owns a big chunk of InstantDEX, this gets SuperNET that much more of NXTventure… There is no short term effect as both were swapped at the current market prices. One of the sources of confusion has been between Atomic and InstantDEX, since they both appear to enabe real-time cross-blockchain trading, allowing users to exchange one coin for another almost instantly. One of the weaknesses of the current cryptocurrency ecosystem is the existence of centralised exchanges – a serious compromise and regular point of failure in a technology built on decentralisation. At present, however, there is no other way to track which coins are being exchanged, which users are exchanging them, who owns how many coins, and so on – and in the process, a significant proportion of the coins are held in hot wallets, which are often less than secure. InstantDEX offers the ability to replace a major part of the exchange process, however it needs a way to keep track of all of these exchanges so that is where a solution like ATOMIC comes into play. ATOMIC allows ANY coin without any changes to begin tracking their exchanges on one blockchain. This means there is no central authority that declares an exchange good or bad, it is decided by the nodes on the ATOMIC network via the POE and POG protocols. Atomic works at a lower level than InstantDEX, providing the instant-exchange platform with a way of tracking trades. I have a deal with VRC community for a swap of 538,916 VRC against SuperNET asset. The recent price for VRC was ~100:1 ratio against SuperNET. VRC has committed to making a cloud storage GUI for SuperNET using the recent DHT API I made. The plan is to create a way for users (and companies or even other coins!) to rent out HDD space to the cloud. All of the details have not been worked out yet, but the VRC community has been quite active with its SuperNET support and with a cloud storage solution will definitely be worthy of SuperNET core inclusion. I will be working with them to solve whatever tech issues come up. I hope to be able to provide a 50/25/25 revenue share from the cloud storage split between the user/VRC/SuperNET, so all SuperNET users can monetize their unused HDD, VRC will create a revenue stream for their hodlers and of course SuperNET will get a nice new revenue stream and increase the overall userbase. Whale has negotiated a deal with BITS (Bitstarcoin), who will be deploying ATMs in Cyprus and will become a core component of SuperNET. The deal is for 1 million BITS in return for 15 BTC (10 BTC + 5 BTC worth of NXT). A further 1 million BITS will be placed in escrow. 60 percent of these will be released to SuperNET if the price stays over 12,000 satoshis for a week. If BITS does not purchase ATMs, 40 percent of the escrow will also belong to SuperNET; if they do deploy them then the 40 percent will be returned to BITS. This should provide a mutually-beneficial arrangement between SuperNET and BITS, protecting and rewarding each. There are currently 16 million BITS, so this deal reaches the 10 percent goal for SuperNET ownership. The Bitstarcoin dev team will continue to enhance the multi-function in-wallet services, in conjunction with the commercial development of the ATM project and related ancillary services being funded and managed by the Cyprus company and their development team, working closely with superNET to present a unified platform that will be able to offer a full-service ATM user interface into cryptocurrency 1.0, 2.0 and beyond. It gives me great pleasure to announce the integration of the Bitstarcoin project as a core component of superNET, in partnership with the commercial incorporation of both Bitstars and other superNET coins onto a cryptocurrency two-way ATM service being rolled out on the island of Cyprus. Alongside the sale and purchase of standard bitcoin, users will be able to choose from a raft of alternate cryptocurrency projects such as the PoS Bitstars, with its generous staking rate for early adopters, as well as multiple other superNET crypto projects to be announced. The projected implementation schedule is for the first few units to go live in Limassol Q1 2015, with our intention being to engage in discussion with relevant Cypriot government departments to ensure a good understanding of the technology, its function and potential for widening the scope of alternate routes towards enhancing both commercial and personal economic capabilities. We choose not to disclose our company name at this time in order to avoid unnecessary interruption or interference. A full public announcement and press release will be made shortly before launch, along with the rollout of online support services and communication channels. The project is managed by fumanchu808. You can read his work on Bitcoinist and CoinTelegraph, and view his LinkedIn profile (https://www.linkedin.com/in/edwarddeleonhickman) here. SNN will create content for the supernet.org website and also for the SuperNET GUI. As part of SNN, an advertising sales function will be created, which will also be used to enhance SuperNET ad sales. As one of the major revenue-generating aspects of SuperNET, the advertising is of strategic importance. The plan is ultimately for SuperNET radio to broadcast 24/7. It will be as informative as possible, initially with the aim of educating the public and exploring further ideas when the project gains greater traction. DJs are welcome to join on a voluntary basis. Social, philosophical, and legal commentaries related to Crypto are welcome. Call-in ‘Talk Radio’ sessions for SuperNET, Core, Supported, and associated coins. ‘How to’s’ for services, as well as links and info for each coin. People (DJs) to produce and represent any of these programming topics will be necessary. We need to find knowledgeable, committed folks for each feature, coin, or asset who can assist listeners in the application, use, and value of the topic being discussed. When would be the best time to schedule shows? This will depend on the coin/asset and market. It should be a time when the majority of owners, users and developers will reached. What languages should the broadcasts offer? The scope of SuperNET and crypto is international. How can we move SuperNET forward in different markets? Should it be subscription based? On start-up? Eventually? For individuals, or for coins and assets? Help, feedback and ideas on all of the above are welcome. You can find out more and make suggestions here: https://forum.thesupernet.org/index.php?topic=181.0. SuperNET’s network of public privacy servers (that is, the nodes in the privacy network that are publicly visible, forming the backbone of the infrastructure) will be used to store files in the cloud as well as relaying transactions and messages. Of course, no assurance that all parts of all your files will reside in these community servers, nor that the community funding will be there forever, but for now it looks like we can fund this from the [BTCD] staking revenues… These servers can be providing HDD for cloud storage, public routing, public access points, etc. The plan is ultimately to have around 100 community-funded servers that can be relied on to be up and running all the time. 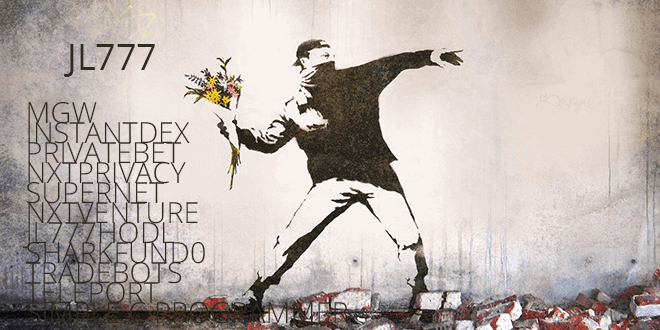 Initially, BTCD needs some 50 privacy servers, running on a network of VPS machines. These will be used to bootstrap the network and for testing. Funding is available from the staking income of the BTCD collected during the SuperNET ICO (see vote). This is a vital part of the ecosystem and SuperNET cannot be launched without it. If you are able to help set these up and maintain them, please contact Azeh on the bitcointalk forum. Development of key functionality has taken further steps forward this week. Along with the capacity for cloud storage, James has used the SuperNET API (via BitcoinDarkd) to create the first telepod – the package that houses the information required for anonymous transactions. Now that the privacyNetwork is stabilizing and even has cloud storage, Teleport will be able to be finalized and then it is InstantDEX/Tradebots. Those two are related and will become the active coded projects soon. All the networking is actually vitally needed by InstantDEX, so in essence great progress has been made, just in the foundation that InstantDEX/Tradebots needs. I figured out how to do 3 of 3 multisig! I think I can also do 2 of 3, but still need to verify the 3 of 3. I remind you I am just a simple C programmer and not a cryptographer. If anybody has the math background to confirm or deny my experimental finding, please post! One of the technical issues of the privacy network is sending a package through the public privacy nodes (i.e. those which have public IP addresses) and out to the destination address without the user’s IP address being compromised. James has been working on a system of probabalistic routing, which would have addressed this, though it was complex and inefficient. A new development means he is now working on a way to complete the final hop out of the privacy network – the ‘last mile’ – far more effectively. My coding the DHT is what allowed me to solve this, so those that think these seemingly unrelated things are slowing down the progress, it is quite the opposite. It is helping achieve the ultimate goal! TL:DR it is possible to transact with someone without ANYBODY actually knowing the IP address of the destination, and therefore very private comms are possible. If these comms happen to have telepods and funds are being transacted, then commerce can happen using this method. Since people had a hard time understanding the simpler form of Teleport, I fear that few will be able to understand the new deaddrop approach. Hopefully somebody will provide some feedback on its weaknesses, if it has any. I feel this is a fundamental improvement in privacy. In all prior versions, there was at least a statistical linkage of your acct # with IP address. Now, all that is happening is that packets are being sent to dead addresses so there is nothing to correlate. This is a bit of unexpected extra work, but the qualitative increase in privacy is well worth it. A key thing to realize is that all of the SuperNET just gets this level of privacy for all comms. Life moves extremely fast in the cryptocurrency world. With no bureaucracy or institutional structures, creativity is given free rein. James is one of the leaders of the financial revolution, with several of his projects breaking new ground – turning coins into assets, paying dividends to coin stakers, enabling cross-coin functionality and an entirely new approach to anonymity. The tech behind SuperNET is breaking new ground, promising a powerful and robust platform for crypto commerce and communication. If you are interested in joining the SuperNET community, you can find out more on the SuperNET forum. There are roles for everyone willing to contribute. First published by SuperTEAM. SIGN UP FOR SUPERNET NEWSLETTER @ thesupernet.org. Nxt is more a platform than just a currency and this is not coz its technical implementation allows to easily add new features. “Platform” should be read as “stepping stone” to changes in the global society. Jl777 is known as a visionary and hard working 3rd party developer of projects that run on the Nxt platform; more recently he became the core developer of Bitcoindark (BTCD). 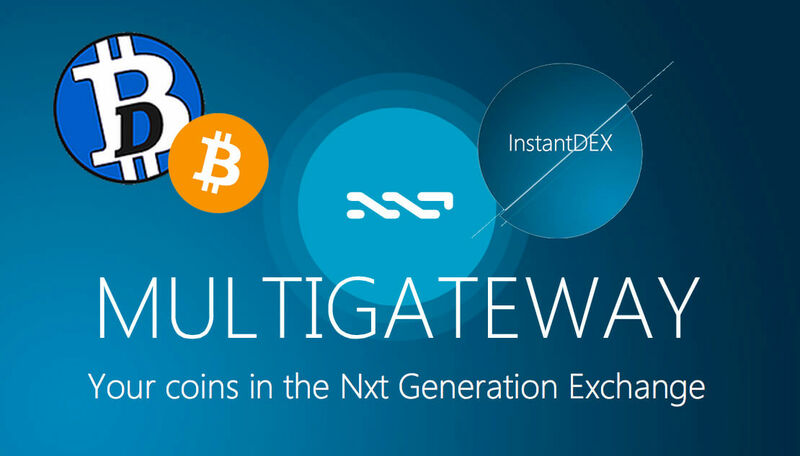 An active Nxter in the Nxt Community since December 2013, his first innovation to go into BETA operation was the Nxt Multigateway, an “almost” decentralized crypto exchange and currently #64 on coinmarketcap. He’s also the issuer of various well-performing assets on the Nxt Asset Exchange (AE) – most of them connected to the wide array of projects that he is currently programming on top of Nxt. Jl777 (or “James” as he signs his posts) is an innovative spirit whose constant flow of ideas can often be hard for others to keep up with, especially given his prodigious work rate and the fact that, engaging as he does with anyone wanting to debate his ideas and his work-in-progress, his posts appear all over the place in various forum threads. James answers questions, adds a few new ideas, sleeps on them and the next day, lightning having struck, may just happen to announce another new feature for the project under discussion. And with projects like NxtPrivacy, Privatebet, NXTServices, NxtInside, Teleport, InstantDEX, Tradebots, jl777HODL (to mention just some), there’s lots of scope for followers of James’ work to engage him in debate, thereby helping to drive the projects’ evolution. Wholly original, self-contained thoughts are rare, think of Einstein’s theory of relativity or Darwin’s theory of natural selection. Instead, innovation more usually consists of new combinations of already existing ideas. James is aware of this and admits it bluntly. My idea is to treat Nxt like OS/CPU for computers. Let other coins get the branding and Nxt is under the hood doing its thing. To make this more than just a great idea, I spice it up with revenue sharing from the business each node generates, so not only do they get the 2.0 crypto features, they get extra money. Crypto needs to work together without reinventing stuff that already exists. fiat is the enemy, not other crypto. Think back to before the IBM PC. Reading the history, there were dozens or maybe more different OS, but each was incompatible, isolated. Very similar to crypto today. They are all doing pretty much the same things (gen1 coins I am talking about), but they are not compatible at all. Using this OS analogy, it is like skipping past the stage where DOS took over the market and straight to Windows type of graphical interface and uniting all computers (gen1 cryptos) under a same OS. Different computers put a different graphics, so you get Compaq desktop, Dell whatnot, etc. So why start this ON TOP OF NXT series with an article about James? What has he to do with the question of Nxt being a coin or a token, about BCNext and building services? A few weeks ago, James made a paradigm-shifting announcement, one that is currently shaking the crypto world to its very core. James announced that he wanted Nxt to be used by other cryptocoins, not via exchanges, but by bundling the coins with Nxt, the platform, and thereby adding Nxt’s 2.0 core features to the 1.0 coins themselves. Sounds far out? It’s a different take on the thoughts of BCNext, which veteran Nxters should be familiar with. BCNext understands that this is very arguable, the community should decide if it wants to follow the path showed by him or stick to Bitcoin legacy with unchangeable supply of coins in hope to become rich by doing nothing. Nxt Inside is something I am reaching out to other coins to do. Each new coin with Nxt Inside is a totally new community that instantly becomes NXT users. Their coin gets the advantage of all the NXT 2.0 features, NXT gets more nodes and users for AE, Marketplace, InstantDEX, etc. The first step is to get the coin traded in MGW, then there is a direct reason for them to want reskinned NXT GUI. Maybe they strip out everything but the AE for their coin, or maybe they keep all of NXT. Now people are hesitant to be the first, so I make BTCD do this as example and then other coins will copy, especially if BTCD does well. BTCD is an altcoin that’s going to enable trustless private transactions via a Teleport-code. MultiGateway (MGW) – allows you to move cryptocurrencies in and out of the NXT Asset Exchange. Nxt Asset Exchange – any asset can be traded peer to peer without the need for a centralized third party. InstantDEX – is to provide a fully decentralized peer-to-peer realtime trustless trading environment. Privatebet – will allow people to make bets directly with each other in a decentralized way. Built on top of Nxt. NXT will be bundled with every BTCD node. It will be the same NXT AE, the same NXT marketplace, the same NXT InstantDEX, Tradebots, Privatebet and generating NXT fees, users, nodes, etc. And the user experience for BTCD’ers? They [The users] might not even know it is NXT (though anybody who looks will find out), it is like the “Intel Inside” of Apple computer. The Apple computer is the brand, the Intel Inside is the CPU. The BTCD is the brand, the Nxt Inside is the thing that powers the 2.0 crypto features. BTCD will have a normal bitcoin QT. In it there will be a button that launches a web browser, which goes to a reskinned NXT GUI. NXT is a platform more than a coin, it needs to go inside other coins. Why should people spend time cloning or recreating NXT? This does not help NXT and the result is sad things like NAS, NTX, etc. Why not combine forces instead of dilute them. Make a DOGE 2.0 where they plug into supernetwork and have AE, Marketplace, etc.? This basic mechanism will be offered to other coins also, who will also then become part of the supernetwork. Like that, Nxt Inside can provide 2.0 features to any coin on the market. It makes perfect sense to have a reskinned NXT GUI, just so they can directly trade their coin. Now why would they go out of their way to remove all the other features? See, Nxt Inside and everybody is happy. New coin gets an exchange they don’t have to bribe to get listed, no fees to trade, and they get lots more 2.0. NXt Inside would have been achievement enough for most, but even before most of the Nxt Community really understood the impact that NxtInside *could* have on Nxt, a call for unity among crypto coins through a network called SuperNET was posted in the bitcointalk forum. By James. This is the network that will be created by joining all the participating coins into a single unified network. Each coin will of course continue to operate normally, but there will be an option to use any of the services that are available in the Supernetwork. Each coin that joins the network makes it bigger and also adds its unique tech that is then crossmarketed to all the other nodes. I am estimating 100,000+ nodes are achievable and the best part is that it is clearly not a zerosum economy at all. The more coins, the more transactions, the more revenues. Just from InstantDEX alone, the expected revenues are significant as even with a smaller than centralized exchange fee of 0.1%, the fact that 100,000+ are able to directly exchange their crypto in near realtime assures a stable revenue stream. The coins that are added will each have to pass some threshold of value that they add to the Supernetwork and also the community needs to be a positive cooperation based mentality. The zerosum dog-eat-dog competitive world is probably needed in mature fiat world, but it has no place in crypto. We need to join together to create a giant Supernetwork that will be a magnet to pull as much fiat into crypto as possible. What James is in the process of doing is something Bitcoin can’t offer. True innovation is often found in the altcoin world, but altcoin developers struggle to survive and their communities fight each over small market shares in a crypto market where BTC is king. Bitcoin core developers are well-known for turning down services that want to utilize the bitcoin blockchain, dismissing them as “blockchain spam”. James on the other hand welcomes them, and offers SuperNET as a way to connect and unite all the best altcoin innovations while at the same helping everyone to make a profit. Assuming we succeed over half the top 50 will have NXT in some form. To make this more than just a great idea, I spice it up with revenue sharing from the business each node generates, so not only do they get the 2.0 crypto features they get extra money. Crypto needs to work together without reinventing stuff that already exists. Fiat is the enemy, not other crypto. Any crypto coin, in fact any website or software, will be able to connect to the SuperNET API and to all other people connected to it. Because every user will run a node it’ll be impossible to lock down. It’s like a decentralized internet for cryptos, offering its users the benefits of any innovative coin and service in the core, and of course the platform itself – Nxt. all this creates more NXT transactions, fees, nodes, users, etc. This is also the sort of thing BCNext had in his plan, at least I believe it follows the spirit of his plan even if some details have been changed. With the scope of SuperNET, I cannot imagine that I will be making any such giant offering again. I dont count the joint venture assets I will make to help the competent devs make their fortunes. I am talking about an offering that raised more in its first hour than Etherium’s first hour. During a weekend, within a week after its initial announcement, based only on text and no fancy graphics or meetups or any marketing. James has his work cut out for the rest of 2014. He likes to emphasize that he’s a simple c programmer but he’s also an original thinker, passionate and hard working, and during the 9 months that James has been building services on top of Nxt, he has managed to gain so much trust from the Nxt community that it overrides the fact that he’s “anonymous”, that his real life identity is unknown to anyone. The SuperNET project collected over 2000 BTC or almost $1 million in the first 48 hrs, and it’s still running. [UPDATE]: The SuperNET ICO has ended. SuperNET now trades on Nxt AE (asset ID 12071612744977229797), on Poloniex and on BTer (ticker symbol UNITY). I really dont want the SuperNET to be about me. I am just starting it, the community is forming it. There are a total of 1 million InstantDEX assets, each asset represents . The goal of InstantDEX is to provide a fully decentralized peer-to-peer realtime trustless trading environment. InstantDEX will generate revenues by charging 0.1% to 0.2% of transactions. If it is 0.2% to each side of the trade, that is a total of 0.4% of all trade volume. InstantDEX will let people change their bid/ask without fees and only charge when a trade happens. Since we wont have large server expenses no matter how many active traders there are, our overhead will be the lowest in the industry. This will allow InstantDEX to have lower fees initially to gain marketshare. Trades are done directly between peers, the blockchain is used to record such trades. I will be integrating NXTsubatomic and NXTatomic into InstantDEX. While these are not realtime trading mechanisms, they are related to trading and it makes sense for them to be part of InstantDEX. A nice bonus for all the InstantDEX holders. The monetization model is clear and simple. The centralized exchanges charge 0.2% to 0.5% for each trade, plus additional fees for withdrawal. InstantDEX will not have any fees for withdrawals and the commissions will be set to 0.1% at first. Keep in mind that this is charged to both buyer and seller so the total revenue will be 0.2%. This will be the lowest in the industry and coupled with the decentralized nature will provide a strong competitive advantage. The InstantDEX does not have ownership linkages, but it does have revenue sharing linkages. Half of its revenues are going to assetholders and the other half are shared among various parties, such as MGW, Tradebots (aka NXTcoinsco), BTCD stakers, uMGW operators, and some unallocated revenues that I plan to use top optimize positive feedbacks. Currently i am thinking of providing global revenue sharing to all the SuperNET users for most of the balance. I figure getting this revenue flow would be more effective than any sort of advertising campaign, but I need to see how things unfold. BitcoinDark, a fast-rising new cryptocurrency with a strong emphasis on anonymity, will soon pay dividends in bitcoin – or potentially one of a number of different cryptocurrencies or crypto-assets. New cryptocurrency BitcoinDark (BTCD) is set to be the first cryptocurrency to pay regular dividends in a form other than itself, in a game-changing new development that will shift the way investors view different currencies. Core BTCD developer jl777, who is also responsible for the jl777hodl (JLH) asset that began trading on Poloniex earlier this month, has stated his intention of linking BTCD to the revenue generated by the new InstantDEX trading platform, for which he is also responsible. Linking InstantDEX and BitcoinDark creates a strong partnership that will leverage the capability of several different initiatives and their respective communities. BitcoinDark, which promises a new and robust twist on anonymity protocols, will be essentially impossible to trace. InstantDEX, which is now at test-release stage, offers near real-time trading between different cryptocurrencies and crypto-assets, meaning that users do not have to wait for confirmations on the relevant blockchains. InstantDEX will work through the Multigateway, the first decentralised crypto-trading exchange. InstantDEX charges 0.1 percent per transaction – lower than almost any other traditional exchange. However, the anticipated market share and resulting volumes means that this could create a significant revenue stream, especially since overheads are minimal. ‘Of the 0.1 percent charged for both sides of the transaction, I plan to reserve half to continue to develop InstantDEX. A proportion – I’m suggesting 10 percent of the remainder – will be paid to BTCD holders.’ Payments can be made in any currency or asset, to the associated address in the BTCD wallet’s built-in asset exchange. The additional financial incentive is likely to fuel a further round of interest in an already keenly-watched cryptocurrency.